Your students will have a blast and you won't blow your school budget with these free Atlanta attractions. Figuring out what to see finding cost-friendly attractions for a school trip can be difficult. Atlanta has a multitude of free attractions for you to choose from, and there is something for every interest. Check out Atlanta’s top free attractions and have fun planning your vacation while staying under budget. The Atlanta Jazz Festival takes place every year, with events starting in early May and continuing until the festival is held Memorial Day Weekend. The festival celebrates the art, music and culture of both past and present jazz music. Past performers include Dwight Andrews, Reńe Marie and Experiment in Truth, Dida Pelled, Melvin Jones, Yonrico Scott Band, Ruby Red’s Band, Eddie Gomez and Chubby Stevens. The Atlanta Jazz Festival is one of the largest free jazz festivals in the country and continues to grow each year. The 2018 festival welcomed 200,000 people and the 2019 festival is expected to bring in even more people. If your students happen to find yourself in Atlanta during the month of May, be sure to stop by one of the many free events hosted by the Atlanta Jazz Festival. The Krog Street Market is a great place to walk around and window shop. The market is held in a 1920s warehouse and strives to be as unique and creative as the building it was built into. At the Krog Street Market visitors will find a mix of restaurants and retail shops. The shops sell everything from dog toys and vintage clothing to gourmet chocolate bars. Find antiques and jewelry at The Collective or handmade bath and body essentials at Mama; whatever your interest, the Krog Street Market has it. 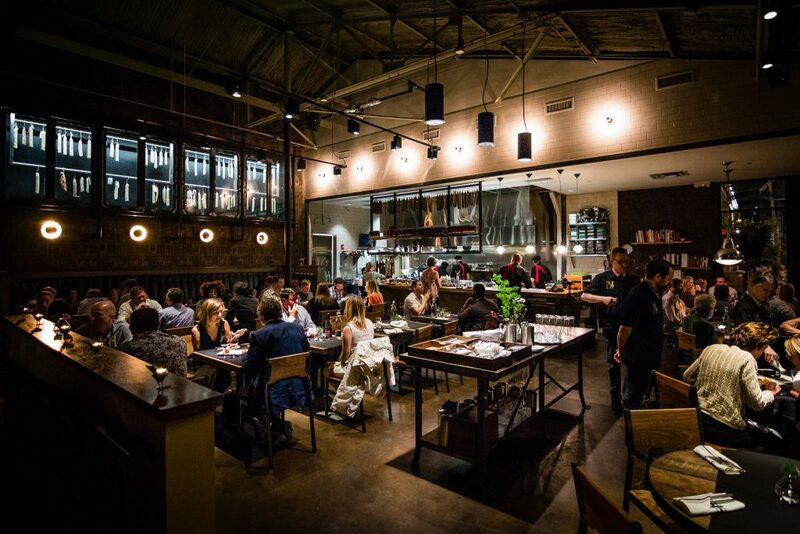 The restaurants at the market are well on their way to making Krog Street Market a must-visit dinner destination. If you are looking for something to eat after walking around, there are plenty of options. From tacos to sushi, every palate is represented. Indulge in authentic Neapolitan pizza at Varuni Napoli or enjoy Szechuan cuisine at Gu’s Dumplings. From window shopping to dining, the Krog Street Market is a good place to walk around with family or friends. The Atlanta Ice Cream Festival was founded in 2010 and is held every summer in late July. This student-friendly event focuses on everyone’s favorite dessert— ice cream—while also promoting a balanced lifestyle through health and wellness activities. The festival hosts multiple events, including fitness events, a wide variety of vendors, musical entertainment and a 5k Fight Cancer Walk. Enjoy a scoop or three of your favorite ice cream flavor and then burn off some of the calories by playing Frisbee or hula hooping. The Atlanta Ice Cream festival holds competitions in ice cream eating, hula hooping, jump rope and a Frisbee toss. Other events include yoga, a young chefs competition and double-dutch routines. Centennial Olympic Park first opened in 1996 as a place for visitors and Georgia residents to gather to watch the 1996 Summer Olympic Games. The park has since become a memento of the 1996 Games and acts as an anchor for the thriving residential and commercial districts that have grown around the park. While at the park visitors can see the Fountain of Rings, visit the Visitors Center, take a self-guided Audio Tour, see the famous inscription bricks and grab a bite to eat at Googie Burger. The Fountain of Rings is an interactive fountain in the shape of the Olympic Rings symbol. The fountain plays four times a day and is one of the most-photographed landmarks in Georgia. 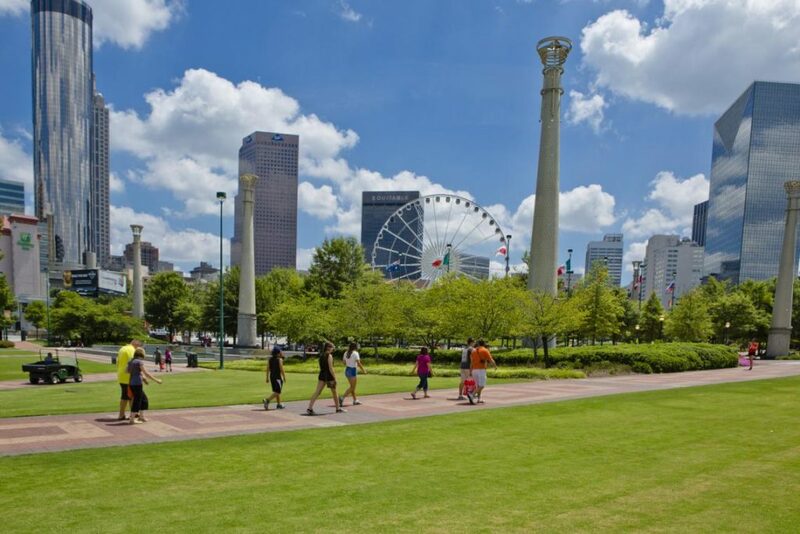 On the Audio Tour guest can learn about the history of Centennial Olympic Park and the landmarks with in the park. The Piedmont Park Arts Festival is a two-day festival held each year in mid-August. The festival promotes visual arts and creating community through art. All visual arts will be represented, including paintings, photography, sculptures, leather work, metal work, glass blowers, jewelry and crafts. The festival supports up and coming artists by shining a spotlight on them in the Emerging Artists Pavilion. Also featured at the festival are artist demonstrations, live music and food vendors. The Piedmont Park Arts Festival was named as one of the top 100 Arts Festivals in the Nation by Sunshine Artist Magazine, and any proceeds from the event go to support a local charity or scholarship which supports the arts. Admission to the festival is free. The Martin Luther King, Jr. Historic Site is dedicated to honoring Martin Luther King Jr. and his legendary movement for non-violent social change. While at the site visitors can see the Visitors Center, the D.R.E.A.M. Gallery, the Behold Monument, the Martin Luther King, Jr. “I Have a Dream” World Peace Rose Garden, Martin Luther King, Jr.’s Birth Home, Fire Station No. 6, Ebenezer Baptist Church and The Martin Luther King, Jr. Center for Nonviolent Social Change, Inc. In the Visitors Center guest can see the “Children of Courage” exhibit, which shows the challenges faced by children during the Civil Rights Movement and the “Courage To Lead” exhibit, which tells the story of Martin Luther King, Jr. and the impact he had on the Civil Rights Movement. The Behold statue was sculpted by Patrick Morelli and unveiled by Mrs. Coretta Scott King on January 11, 1990 as a tribute to her late husband. The Martin Luther King, Jr. “I Have a Dream” World Peace Rose Garden is one of five gardens dedicated to peace. The garden has 185 roses in a variety of colors that are designed in a starburst pattern to honor Martin Luther King, Jr.’s ideals. 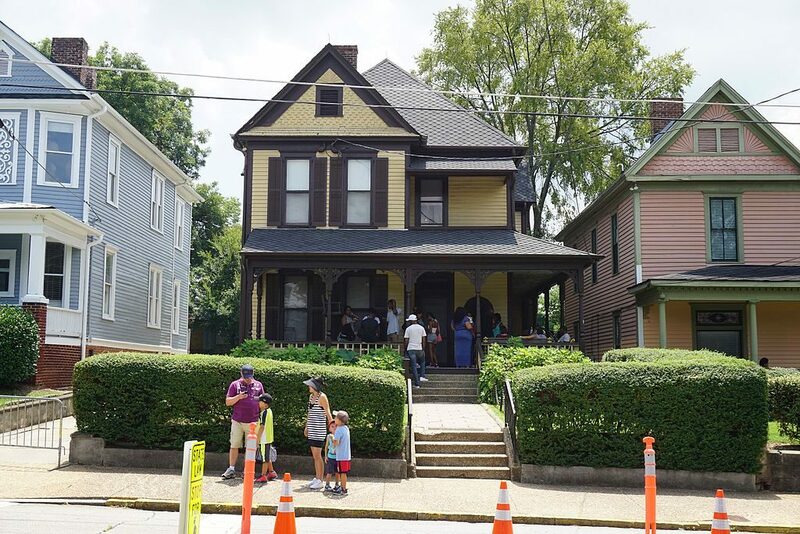 Visitors can also see the home where Martin Luther King, Jr. was born and lived in for 12 years. Fire Station No. 6 is now a museum detailing the desegregation of the Atlanta Fire Department, and guests can see a 1927 American LaFrance fire engine. Visitors can visit the church where Martin Luther King, Jr. was a co-pastor and visit his and Mrs. King’s graves at The Martin Luther King, Jr. Center for Nonviolent Social Change, Inc.
Ponce City Market is an ideal place for people to gather, eat and shop. With over 80 unique shops and restaurants there is something for everyone to see at the Ponce City Market. From eco-conscious jewelry and personalized stationary to edible cookie dough and fashion forward clothing, there is a lot to see at Ponce City Market. Learn about candle making at Candlefish or enter into the revival of the neighborhood hat shop at Goorin Bros. Hat Shop. If you are looking for something to eat, there are numerous food and snack shops at Ponce City Market. From burgers and Szechuan-inspired meals to popsicles and gelato, there is something for every taste and hunger level. 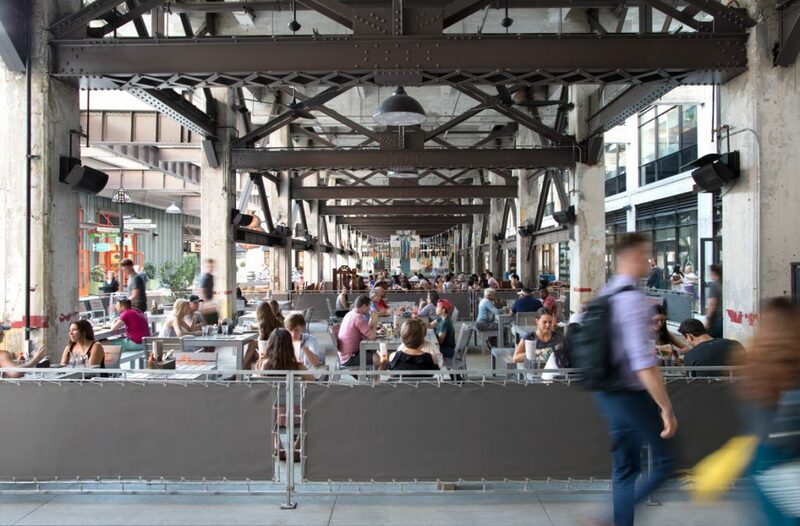 Ponce City Market is the ideal place to window shop with over 80 shops and restaurants. The Marietta Square Art Walks are held every first Friday from March to November. Participating artists set up their art work in front of participating venues, and visitors can walk through Marietta Square and see artwork by local artists. The walking tours are self-guided and open to the public. Enjoy window shopping at the stores in Marietta Square and take in art by local up and coming and established artists at the same time. The event runs from 5 p.m. to 9 p.m. Visitors can also enjoy live music during the Art Walk, visit free gallery openings at some of the galleries in Marietta Square and receive free admission at the Marietta/Cobb Museum of Art.